Day School families are members of the Valley Beth Shalom (VBS) Synagogue community. Belonging to VBS is the best opportunity to share Jewish learning, create lifelong friendships, care for others and celebrate life’s greatest moments together. 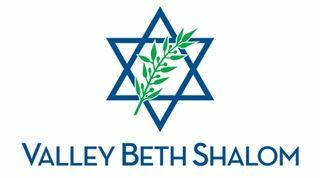 At Valley Beth Shalom, you will find a wide variety of prayer opportunities for families of all ages (Kids Minyan led by Day School Rabbi Avi, Tot Shabbat, Playground Minyan, N'Shama Minyan), learning opportunities, ongoing commitments to social service and making a difference in the world, and celebrations of Jewish culture. VBS schools also provide outstanding Jewish education to children from infancy through high school. We are delighted to welcome you and have you part of the VBS community! To learn more about VBS membership, contact Natasha Benzaken, Membership Coordinator, at 818.530.4008.